If you’ve been following along at all you’ll know that I recently decided to make a fashion resolution. Needless to say, I’ve been spending a bit of time evaluating my style and figuring out what I want to wear because to be honest, I’m a pretty casual person who doesn’t like to be bothered with uncomfortable outfits. So, when I heard about the idea of a capsule wardrobe I was intrigued. 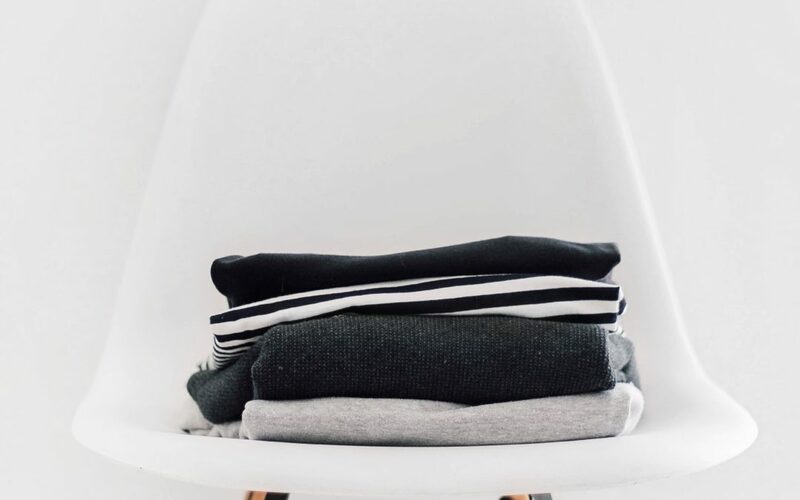 While many people have embraced the idea of the capsule wardrobe and the term has been around since the 19070’s, but the expert of our time who re-coined the term is Caroline the author of Unfancy. This is a blog where she talks about the concept of her capsule wardrobe which includes wearing the same 37 pieces for three months at a time. Now, obviously this idea was intriguing to me because it melds convince and style into one goal! After Caroline’s three months she does add new pieces to her rotation, but in the mean time she has created a completely stress free and cheap way to get dressed. Caroline’s definition of a capsule wardrobe is “It’s a mini wardrobe made up of really versatile pieces that you completely LOVE to wear”. To expand on that definition, it’s a wardrobe that is complete with shoes, outerwear, dresses, bottoms and tops that are rotated out every three months. Caroline sorts her capsules by seasons and occasions and broke down her capsule into 37 items so that she would have 2 jackets/coats, 15 tops, 9 pairs of shoes, 9 bottoms, and 2 dresses. Why Try The Capsule Wardrobe? A lot of us have too much in our closets to start with and then we go shopping on top of it. In fact, I have tons of close I’ll never wear and I only wear a handful on a regular basis. What a shame right? So, instead of buying more or (if you’re like me) worrying about what to buy more of, you can sort your clothes into wearable piles and know exactly what you’re going to wear for that month! In addition to that, you don’t buy clothes during your three month periods, so you’ll save money if you’re an impulse clothing shopper! In addition to that having the outfits pre-designed means that you’ll never look at your capsule and not have something to wear. For me the capsule wardrobe is energy and time saved for things that matter like writing posts, making videos and spending time with my friends and family. BUT at the same time I’ll be meeting my fashion resolution of dressing nice this year. Then she picks out her 9 bottoms and 15 tops. For the bottoms she splits everything up into threes such as pants, slacks and skirts. The tops are sometimes split up into threes, such as tank fops, vests, t-shits, button up shirts, and sweaters, but not always. Last, she leaves room for jackets and dresses which she breaks down depending on the season and potential events. Even if picking out nine pairs of shoes is easy, it might not be so easy when you look at your entire closet and are forced to make clothing choices for the next three months. This is why it’s important to start the process by cleaning out your closet. Basically you’re going to want to empty your closet and sort your emptied clothes into piles by “Love it”, “Maybe”, “Nope”, and “Seasonal”. Once you have your clothes sorted, stop shopping for a time. This will give you an idea of what clothes you really need to buy. Last, get rid of the clothes you won’t use! It’s silly to keep them around, however if you are a bit afraid of throwing them out, try storing them elsewhere while you do your capsule and then get rid of them if you don’t miss them after several months. You can also buy new pieces after you stop shopping for a while that help you complete your wardrobe. Obviously, this system isn’t designed to limit you and make your life more frustrating, so modify it however you like including adding in more pieces. Make it work for you! This should be a fun time that teaches you new things about yourself and your closet, not one that stresses you out or makes you hate your clothes. Just an Experiment or Long Term? If you’re really unhappy with your current closet situation, try it for a year (a full 4 capsule seasons) and see what you think. If you’re happy with your current closet situation, perhaps just try it once just to mix up your life and try something new. I’m excited to try this system out because I desperately need help in the fashion department right now and I think it will give me a way to be stylish without over thinking it. What do you think? Let me know in the comments.